Pasilla peppers are a perfect pepper to stuff and bake. 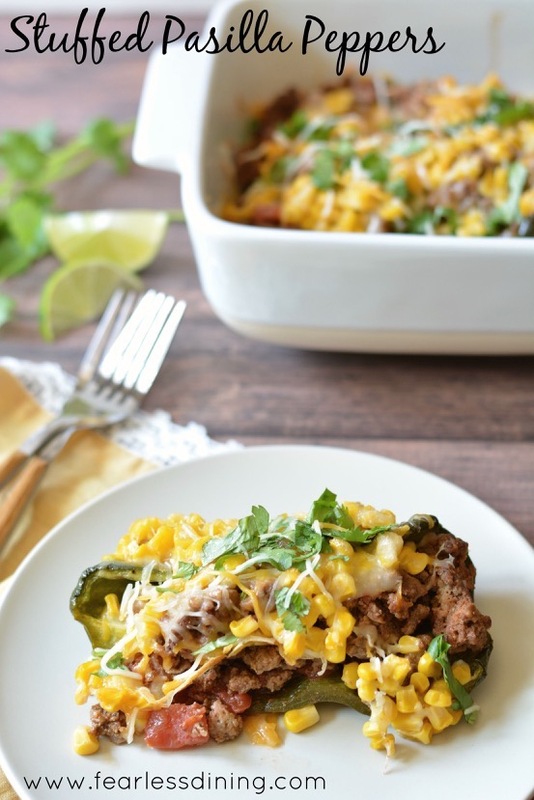 These stuffed pasilla peppers are mild, and add a great flavor that bakes into the filling. 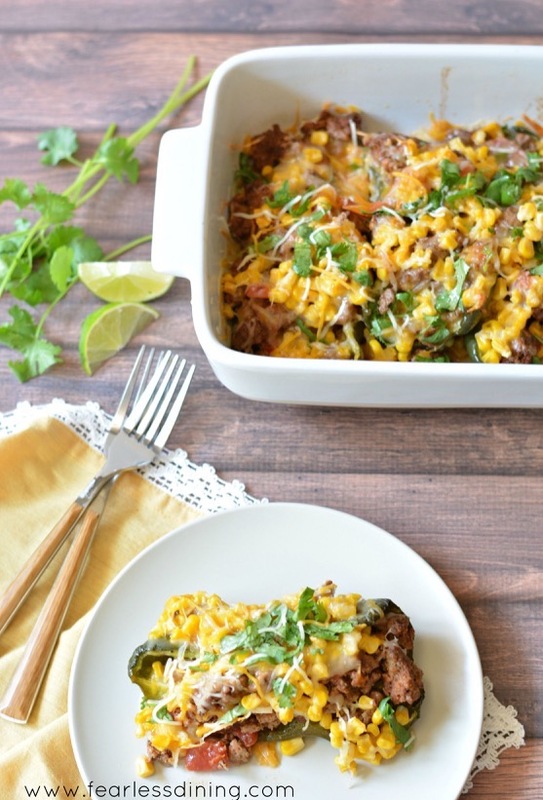 Bake pasilla peppers into a casserole for a delicious dinner that is perfect for potlucks too. This summer has been a really busy summer for our family. We have been entertaining friends, and also going to some fun parties. Many of the parties we have gone to have been potluck this year. Potlucks can be tricky when your family is gluten free, so we always like to bring a main dish so I know our family has something hearty that we can eat safely. Summer is also fresh pepper season and pasilla peppers are one of my favorite types of pepper to cook with. You definitely can’t go wrong with this Mexican stuffed pepper recipe. 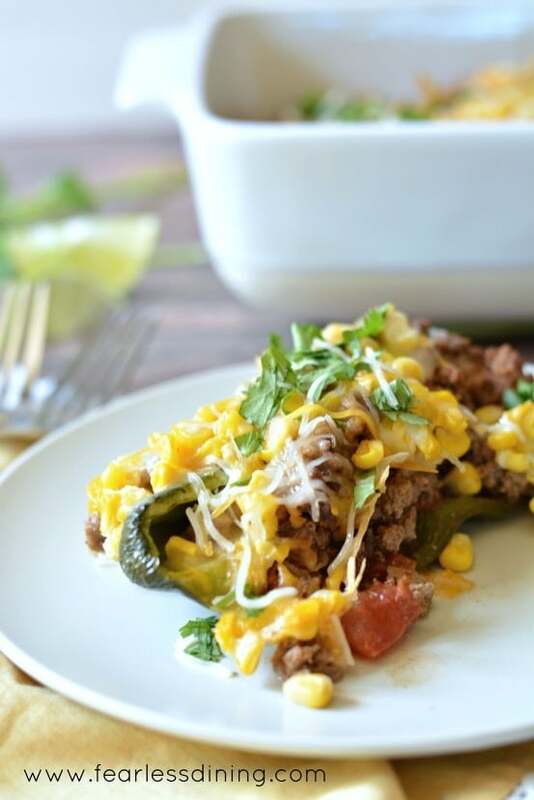 This easy ground beef stuffed pasilla pepper recipe is perfect for an easy dinner. Here are two other family favorites to take to a potluck: Super Cheesy Zucchini Ribbon Lasagna Alfredo and Easy Butternut Squash Chili. Pasilla peppers are a mild to medium spicy pepper that is on the large side, making them perfect to stuff and bake. I love spicy foods, and I have yet to find a really spicy pasilla pepper. Pasilla peppers are in stores year round, thanks to moderate Mexican weather. The fresh produce section is huge and when I first and saw these big fresh pasilla peppers, I knew they would make a great stuffed pepper dish. Pasilla peppers are also known as poblano peppers. A lot of people wonder if Chile Pasilla are hot. These peppers have mild to moderate heat…but if you clean out the seeds before you make this recipe, they won’t be too spicy. Pasilla peppers are mild and widely liked. I also picked up a bunch of spring onions and fresh cilantro to cook into the meat. You can roast pasilla peppers, but I found they hold up better when they are stuffed with the ground beef when they are raw. This way the flavors all bake together. Roasted chicken and cheddar cheese. Make it vegetarian and stuff your pasilla peppers with Mexican rice and black beans. Go vegan and stuff your peppers with quinoa, kidney beans, tomato, and a vegan cheese. 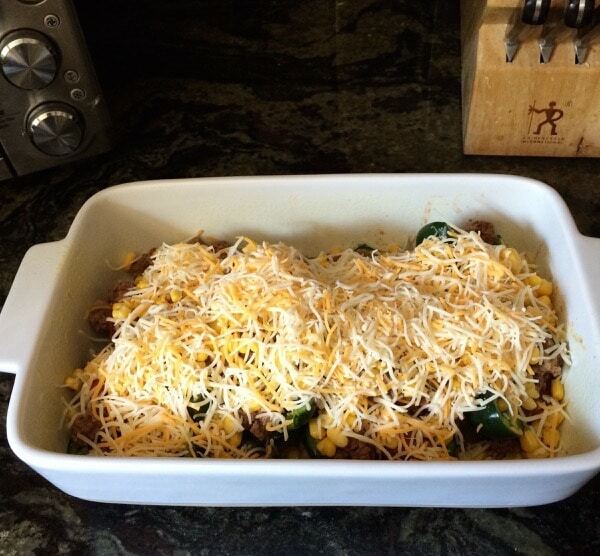 Stuff and bake your pasilla peppers with chili and top with cheddar cheese. If you love peppers, this Mini Sausage Stuffed Pepper appetizer recipe is fun to serve on game day! This casserole is really easy to make. Brown lean ground beef with spring onions. Add seasonings. This meat mixture will cook for 10 minutes. TIP: Drain the fat out of the pan into a paper cup. (Don’t dump grease down the sink, it can adhere to pipes causing blockages later on!) Once the fat cools, toss it into the trash. Remove tops of pasilla peppers and also remove the seeds. In many peppers, a lot of the spice is in the seeds so make sure you remove all of the seeds. Cut the peppers in half lengthwise. They make the perfect vessel to stuff with meat and cheese! Add tomatoes and continue to cook. Stuff each pepper with the meat mixture. Top with corn and cheese. Bake for 30 minutes. Click here to see my favorite Mexican recipes for Cinco De Mayo. Are you ready to make this easy ground beef stuffed pepper recipe? 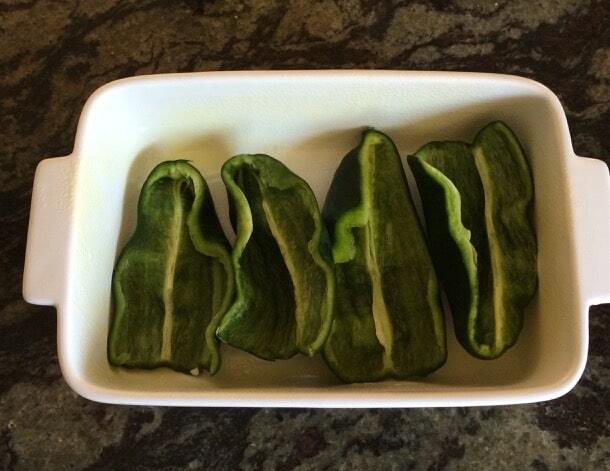 Delicious stuffed pasilla peppers make a great dinner. Easy to make ahead and freeze. Spray non stick oil in a casserole dish. 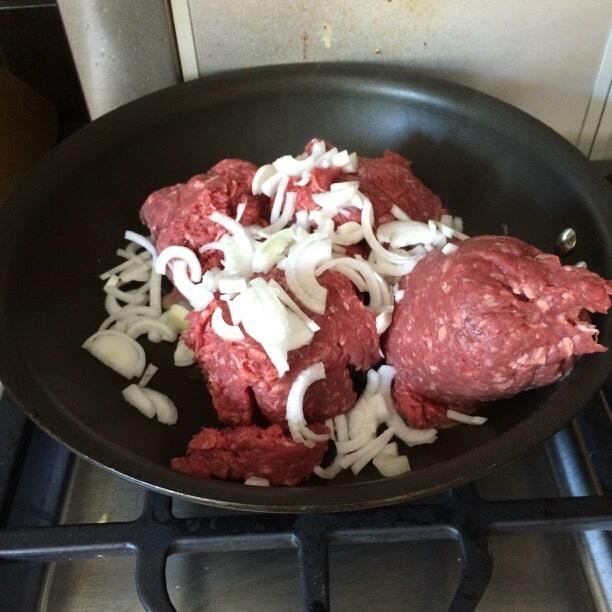 In a large pan, cook ground beef and spring onions. Cook until meat is cooked thoroughly. Season with salt, chili powder, cumin, and pepper. Add diced tomatoes and simmer. Place pasilla peppers in casserole dish. 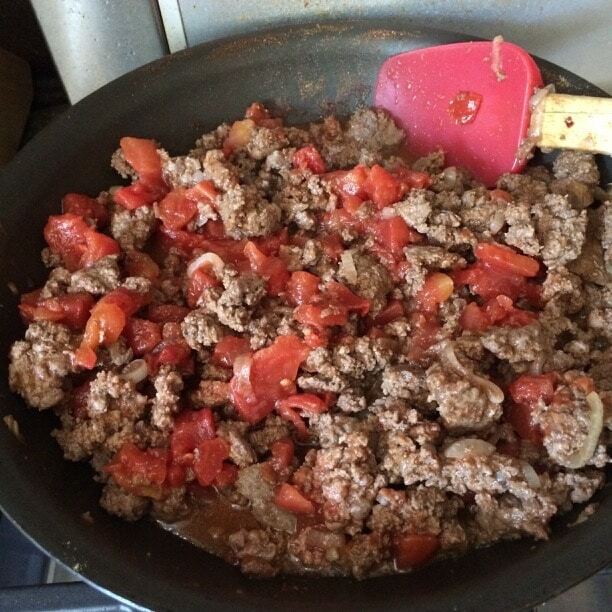 Fill each pepper with meat mixture. 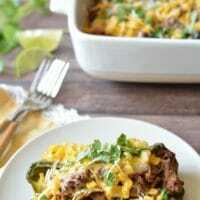 Top with corn and Mexican cheese. This is fabulous Sandi!! Love the stuffing and I’ll be trying it soon. Thank you so much Molly. You know I love peppers 🙂 Let me know how you like this recipe. This looks like just the right amount of spice- I love that you gave other options for things to stuff them with. Yum! 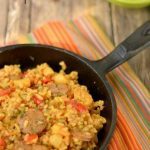 I hadn’t heard of Pasilla peppers prior to reading your post so thanks for that and thanks for this recipe – this looks so delicious and comforting! I hope you can find them Shashi 🙂 If not, feel free to sub green bell peppers. This looks super tasty! What a great recipe!! 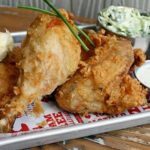 My husband will love it if I make this for dinner! How did your husband like it Camila? What a simple and beautiful dinner idea. Love it! Hi, at our local farm stand they had beautiful pasilla peppers and although we had never eaten them before, I bought a couple for us to try. They look similar to Anaheims and Poblanos, so why not? I found your recipe and tied it out, although I made it without meat. I used pinto beans instead. This was delicious. A new favorite recipe for us. Thanks for the recipe. Hi Allyn, I am so glad this recipe worked well for you. I need to try it your way with pinto beans next 🙂 Thank you so much for taking the time to write. These stuffed peppers look delicious! These look so cheesy and delicious! YUM! Sandi I am so excited about this dish! Our Tiburon peppers are ripe! they look like pasillas and have a similar flavor. So good! Stuffing them like this is on my “to do ” list. i especially like the corn and cheese topping. Can’t wait to make this! Are these true pasilla peppers or poblanos? Either way, this looks like something I would enjoy start to finish. I’m not familiar w these peopers but now I will keep my eyes open for them. The casserole sounds fantastic. I generally bring something like lasagna or stuffed shells to a gathering. Oh yum, I love stuffed peppers, this sounds like one delicious casserole! Oh I love the look of those! Stuffed bell peppers are household favourites here at Cooksister HQ. But I am envious of the ready availability of pasilla peppers – they are a speciality item over here 🙁 Smart & Final looks like a great service. Can you believe I’ve never made stuffed peppers?! Your dish is beautiful. I’ll have to give this a try! I love peppers. This is a great way to use the peppers. I am so into this recipe. Get the idea. Beautiful pictures, Sandi! What a vibrant and creative dish! I hope your family enjoys them Carolyn. Mine like it because the peppers are really mild, yet different from bell peppers. I have a recipe similar to this that is so great – stuffed peppers are the best!!!!!!!!!! I love this recipe – I am all about one pot meals and roasting peppers are one of my favorite things – LOVE THIS!!! I don’t think I’ve ever had pasilla peppers, but they look a lot like poblanos, and your casserole looks and sounds delicious.